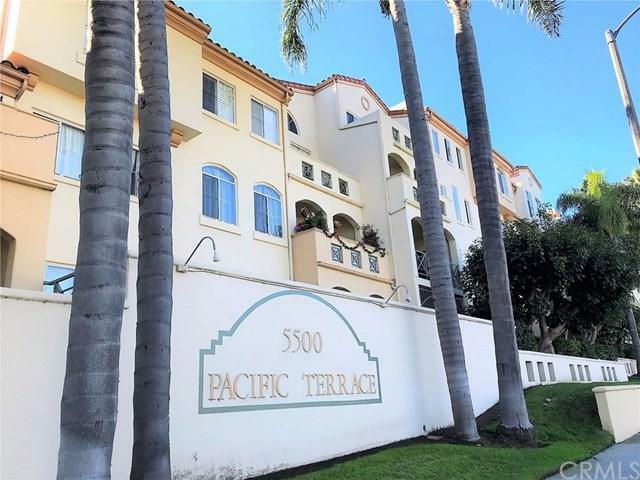 Beautiful condo within walking distance to Redondo beach and pier. Located in "Pacific Terrance" gated community. Desirable interior unit. Private huge front patio for your exclusive use. This unit is turn key and ready to move in. Sharp, clean and bright. Large 3 bedrooms and 2 bath unit with one of the larger square footage in the complex. Upgraded kitchen has granite counter tops and travertine floors, upgraded master bathrooms with travertine, great room with fireplace, huge front yard, laminated hard Beautiful condo within walking distance to Redondo beach and pier. Located in "Pacific Terrance" gated community. Desirable interior unit. Private huge front patio for your exclusive use. This unit is turn key and ready to move in. Sharp, clean and bright. Large 3 bedrooms and 2 bath unit with one of the larger square footage in the complex. Upgraded kitchen has granite counter tops and travertine floors, upgraded master bathrooms with travertine, great room with fireplace, huge front yard, laminated hardwood floor through out, and washer/dryer hookups in a closet. Washer, dryer and refrigerator included. See floor plan in photo. This gated community is like a resort with a pool, gym, sauna, spa and clubhouse for all the residents to use. Don't miss out on getting into the highly coveted West Torrance school district under 700K! Listing provided courtesy of Keller And Associates Realty. Listing information © 2019 San Diego MLS, Inc.